In an effort to lift the appearance of the room to match its new name, I undertook a major clean out. Like all decluttering sessions, this one unearthed some treasures I couldn’t bear to throw out or donate to charity. In this case, a box of stored baby outfits. 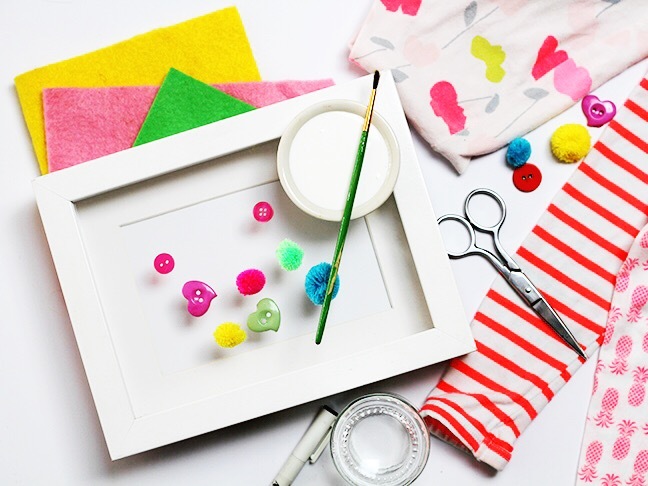 Now, if you a) get all sentimental like me; b) will use any excuse to get out of decluttering or c) all of the above, then here’s how to turn treasured baby clothes into fabric flowers. 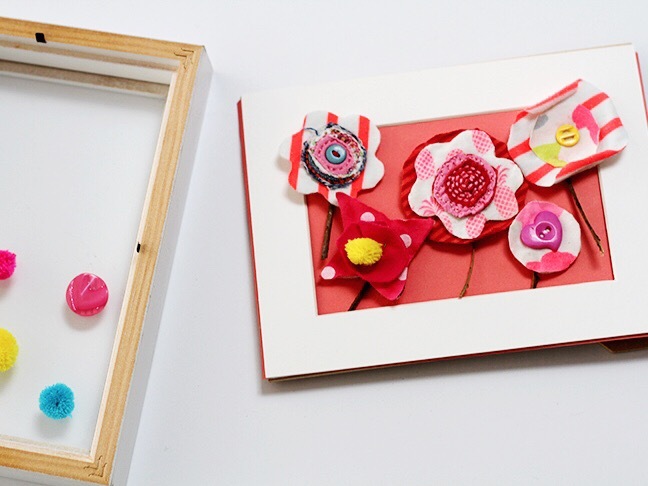 This project would also make a gorgeous gift for any mum whose baby is growing up and out of those sweet, sweet baby clothes we love so much. Step 1: On a piece of white card, mark out the inner border of the mat board. Trace around jars onto felt to create circles of various sizes. 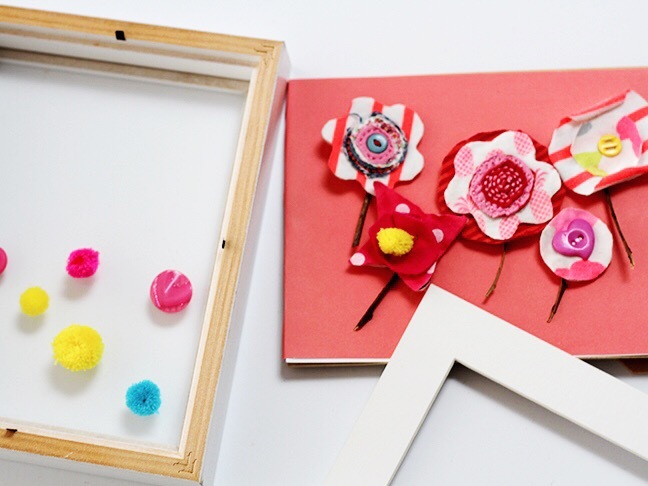 Cut these circles out and play around with where you will position the flowers in the marked-out area. 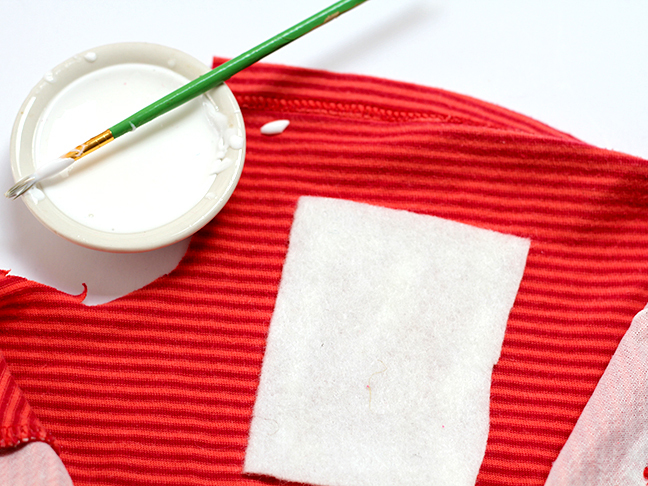 Step 2: Glue a rectangle of felt onto a piece of baby clothing. This will be the backing of the flower. 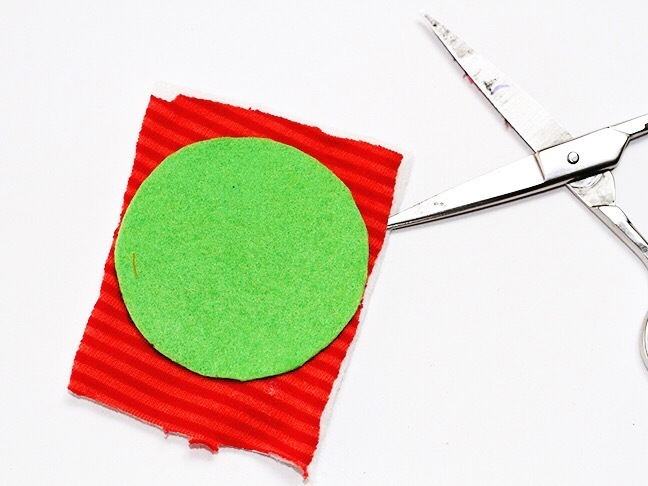 You will use the felt circles from Step 1 as your cutting templates. 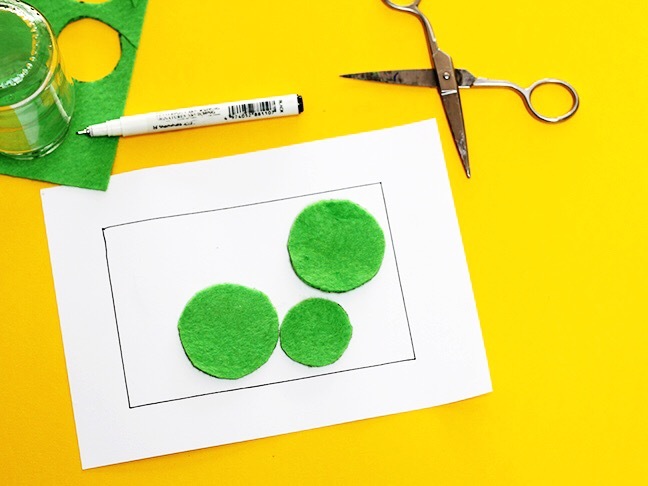 You could pin the felt circle to your baby clothing, or if you embrace the ‘fly-by-the-seat-of-your-pants-and-hope-for-the-best’ approach to craft (like me), you can just hold the felt circle in place as you cut around it, leaving you with your flower base. Step 3: Once you have your circular flower base, you are really only limited by your imagination (and the amount of glue you have). 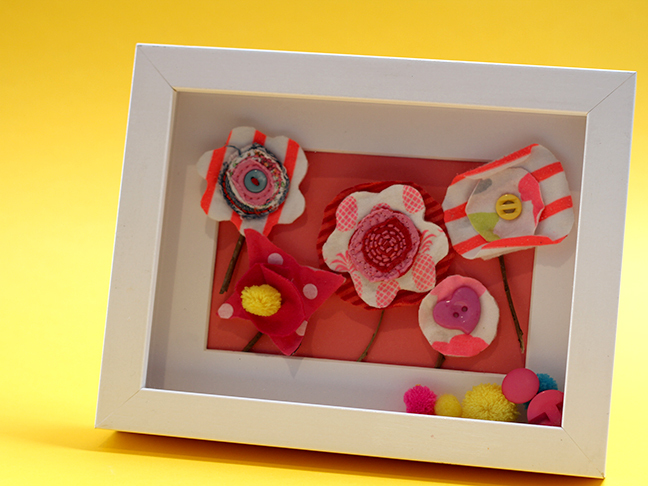 You can add buttons and pom poms into the centre of your fabric flower. You can use other pieces of baby clothing and overlay different shapes onto your base. Step 5: Once the glue has dried, lay your mat board in place. Secure your frame. Done! 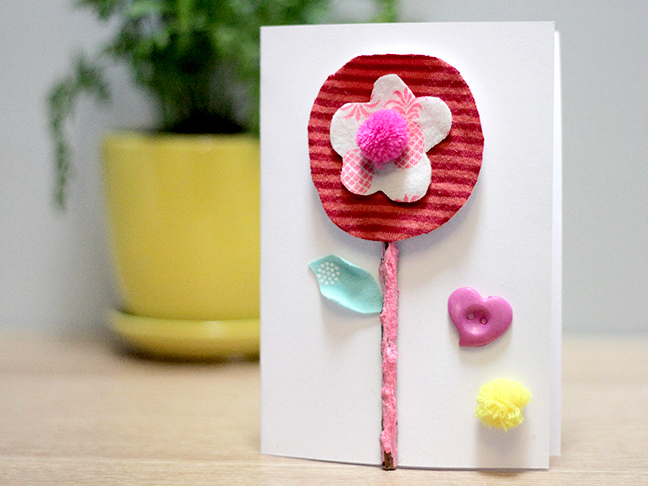 If you have any left over fabric flowers, you could turn them into cards. 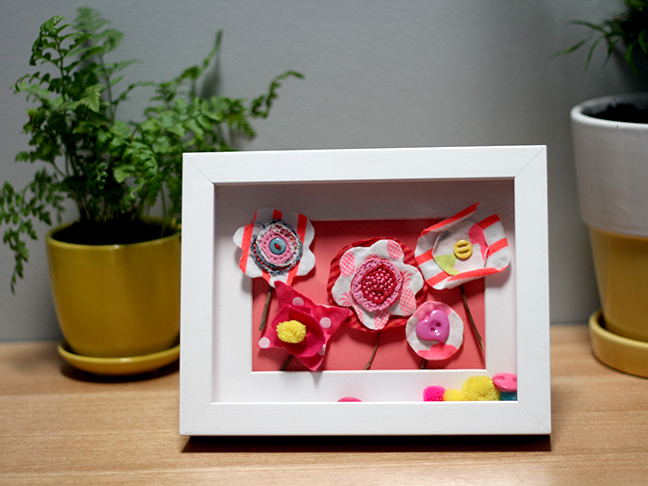 I’m now trying to think up other craft projects inspired by The Junk Room, I mean, Immaculate Beauty Palace.